Almost everyone knows about Cyber Monday, and it’s because it’s just literally the Monday following the Black Friday event. It’s like an extension of Black Friday deals that you should consider taking a look at, especially if you missed a lot of alluring deals during the Black Friday. But one thing that makes this even more convenient than Black Friday is the fact that this is an online-only sale, unlike the Black Friday where it involves both online and offline deals. 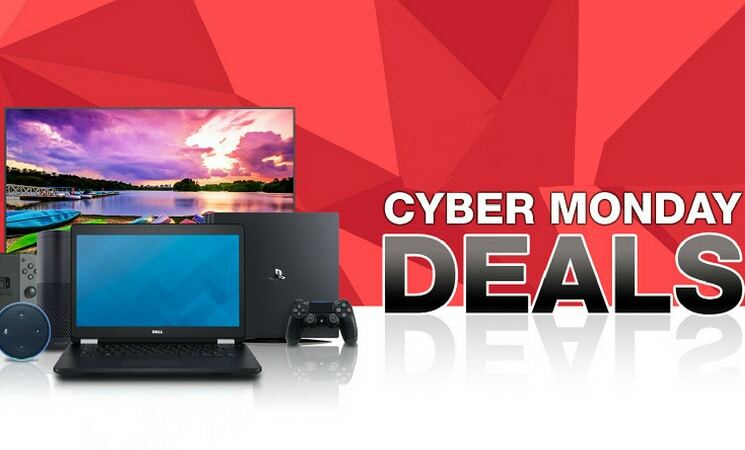 You can head over to our list of the best Cyber Monday gaming desktop deals below or you can read the following to learn more about Cyber Monday and learn more the things you need to do to be prepared. Cyber Monday takes place on the first Monday after the American Thanksgiving and following Black Friday. Since this year’s Black Friday will be on November 23, 2019, Cyber Monday will take place on November 26, 2019. It’s likely that you’ve made some of your best purchases from last year’s Black Friday and Cyber Monday PC deals. But in case you haven’t because you just couldn’t find the right deals, then you’re in for a treat. Here at WePC, we want to keep our readers up to date with the latest best Black Friday and Cyber Monday gaming PC deals. You can check our Black Friday deals article to see the lists of all the best deals in the gaming PC category. On the other hand, you’re in for a big treat if you’re here to find and learn more about the best deals of this year’s Cyber Monday. We intend to update both of these articles as often as we can, especially during the big day, not only to make sure you’re presented with the best deals but to also make sure you’re not missing on anything out. What’s New and What to Expect From This Year’s Cyber Monday Gaming PC Deals? It’s too early to predict something new with this year’s Cyber Monday gaming PC deals. But even so, one thing’s for sure - you’re likely to see really great deals that you’d surely regret not knowing about it in the first place. And the event is still expected to only last for 24-hours. Seeing the success of this year’s Amazon Prime Day, it’s likely that Amazon and other e-commerce websites are likely to put their hats on the tables to provide consumers more than just great deals. We already have our eyes peeled even though it’s still August. In fact, we always check the best deals of the day because you just can’t tell when deals start to pop up. We also advise you check it out, too. Since it’s still too early to spot great deals, the following are some of the best Cyber Monday deals of last year. It’s likely that we’ll see new hardware parts on sale this year because of how fast technology changes and evolves. But it’s going to be a given that you’d see a lot of GTX 1070 Cyber Monday and GTX 1080 Cyber Monday deals. Moreover, it’s also likely that you’d stumble upon some really good GTX 970 Cyber Monday deals. It performs close to that of a GTX 1060 graphics card but at a really low price, so it’s worth grabbing if you’re really on a budget. You can also browse more PC games for more. These were just some of the best Cyber Monday gaming PC Deals last year. For this year, this list is going to be filled with tons of very good deals so expect to see more updates on this page in the coming weeks. What did you get from last year’s Cyber Monday deals? Or which products do you have on your wishlist? Share it down below!